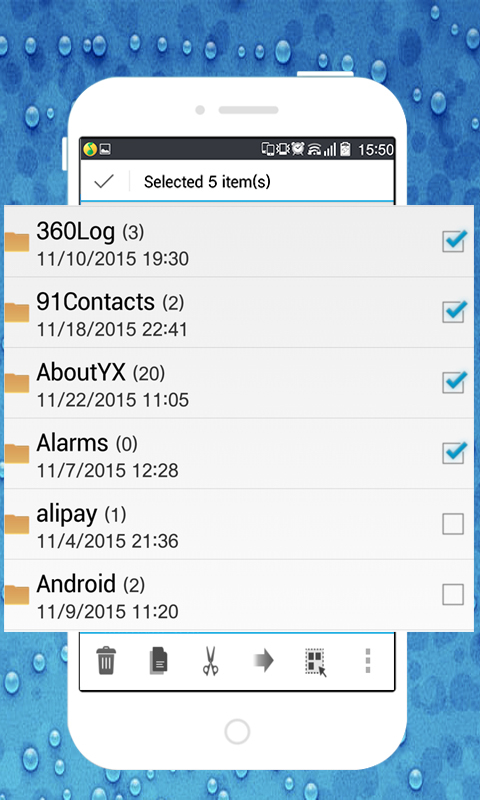 One of the best file manager for Android. 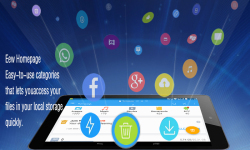 All the files on your SD-card he categorizes that facilitates access to the desired content without having to search through folders it manually. 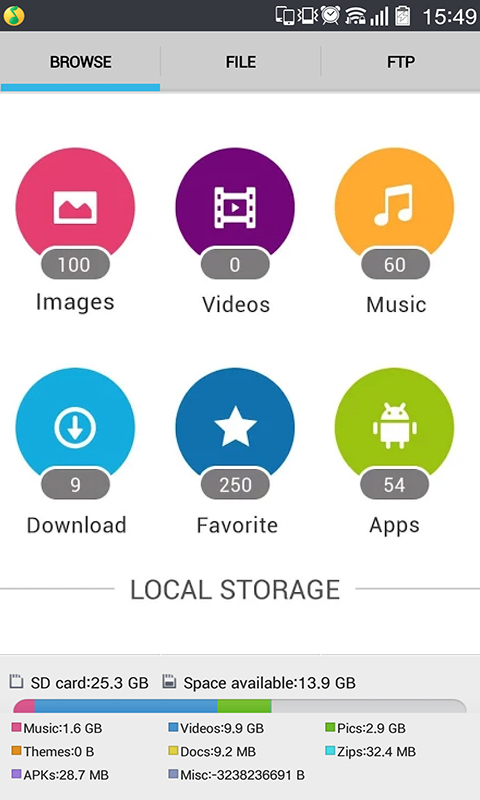 You can browse music files , videos, photos , documents, applications , and is easy to copy , move, delete or upload new files from your PC to your smartphone or tablet via Wi-fi connection.You can also browse the folders SD card directory , use remote access to files on your phone with a computer via Wi-Fi connection. All these features are available in one application. Key Features: * Access by category of music, videos, photos , documents, mail files, applications. Now you can easily find the same documents in the same list of files; * Easy to delete, move , copy, paste and file sharing ; * Browse the directory SD- card ; * After creating a Wi-Fi connection , you can use wireless access to the files on your phone via PC .